When Taylor sang “Tim McGraw” to Tim McGraw. 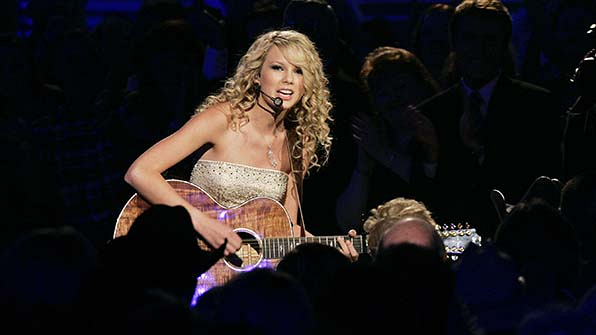 In 2007, T. Swizzle got the chance to serenade her favorite male musician with the song he inspired. It doesn’t get more meta than this.